What a week for the Obama administration, from overreaching at the counter during his lunch at Chipotle to his appointments being struck down by the Supreme Court. Obama has consistently overreached his executive powers and finally the Supreme Court has recognized it. Obama is not a king—he is the President of the free world—meaning that there are constitutional checks on his power. The Supreme Court ruled unanimously that President Obama had in fact violated the Constitution in 2012 by appointing officials to the National Labor Relations Board (NLRB) during what was deemed a “non-recess” in the Senate. 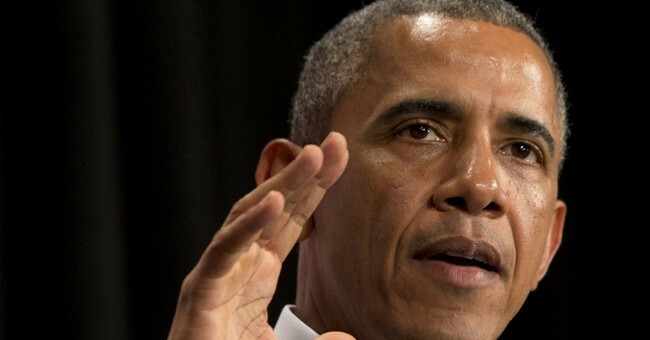 Obama’s broad interpretation of his powers was dealt a huge blow today. Thursday’s ruling was significant in ensuring that a balance of power remains between the President and the Senate. The justices limited the President’s recess appointment powers by declaring that a three day recess is too short of a time and is not a substantial break from business as usual. While many found Obama’s “overreach” at the Chipotle when he was ordering his food to be humorous—it was an example of how he views himself. Many people know that when you order at Chipotle the glass over the food counter is meant to prevent people from reaching their hands over it—Obama ignored its existence though. Obama proved to Americans that he could in fact do whatever he wants when he wants through his broad-reaching policies and decisions. This administration has continuously acted with supreme authority and it was high time that the Supreme Court reigned in on the President’s powers to essentially do whatever he wants. Not only did this momentous decision occur Thursday but also a win for the first amendment came when the Supreme Court unanimously ruled that 35-foot “buffer zones” outside of Massachusetts’s abortion clinics are in fact unconstitutional. This decision was a huge win for the pro-life movement as well as for advocates of free speech—and first amendment rights. While President Obama can continue to overreach at chain restaurants he can no longer overstep his executive powers and Americans still retain the their free speech rights.